As with any leak, just because the sources are close to iOS 13 doesn't mean the features are guaranteed. Even if they are, they could come out after iOS 13's release as with group FaceTime for iOS 12, so take the information with a pinch of salt. Could the Samsung Galaxy Note 10 be an iPhone-killer? One feature for iOS 13 detailed by the report is Dark Mode, which iPhone users have been demanding for a while now, which is a visual effect that would make windows, apps and menus dark. A feature like this is useful for people who don't want a bright screen when they're using a phone in a dark place like in bed, or who want to shield their eyes from blinding phone screen lights. 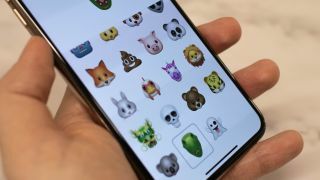 A more intriguing feature is a new gesture Apple could add – currently gestures can bring up various menus or toolbars, but the report suggests an 'undo' gesture is coming too, which would let you go back similar to how the 'back' button on Android works. Apparently this gestures requires a three-finger tap which you must slide to the side to undo or redo an action – this sounds a little complicated, so we'll have to wait and see if the report is accurate. When iOS 13 is officially announced in June we'll get to see if these leaked features are accurate or not, but if they are it seems iOS 13 is doubling down on making the user interface better-looking and easier to navigate.